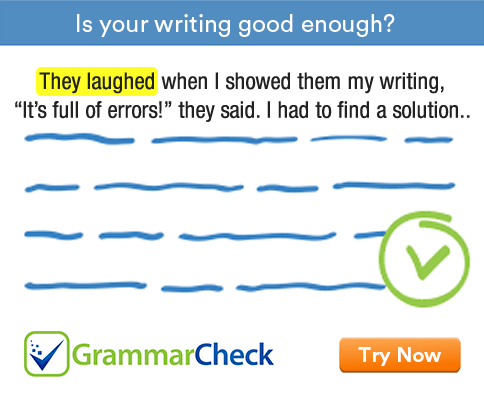 Test your understanding of general grammar rules and sentence patterns with this interactive exercise. 1. She is taller ……………….. her husband. Then is a time expression; than is used in comparative structures. 2. He put the books ………………….. the table. We use in to show position inside three dimensional spaces. On is used to show position on the surface of something. 3. Get the cat ……………….. the piano. 4. The baby ………………….. his mother. Resemble is one of those verbs that do not take a preposition before its object. 5. The child sat ………………….. his mother. Beside means near or next to. Besides means in addition to. 6. The clown ....................... the audience with his tricks. Amusing is a present participle form. It becomes a verb only when it is used with forms of be. 7. He is nursing a …………………. heart. 8. It is raining cats and ………………..
9. I gave ……………….. chemistry because I didn’t like it. To give up is to stop making an effort and accept that you have failed. 10. I can’t wait ……………….. the holidays. 11. I don't know where ......................... gone. In indirect questions, the subject goes before the verb. If there is no verb, object pronouns are more common after than. 11. I don’t know where he has gone. 12. He is taller than me / I am.